The only thing you need to have on hand before starting up the web-based tool is about 4 image files (in PNG format) for the frame, toolbar, and various tab backgrounds. See my above theme for an example of how they're divided up in the window (okay, so the theme itself is hideous, but the stark difference in the colors helps explain what area of the window each PNG is assigned to). Alternatively, you can just leave the image slots empty and chose colors for each area from the "Colors" tab. When you're done, just hit "Pack" and download your theme to see how it looks. 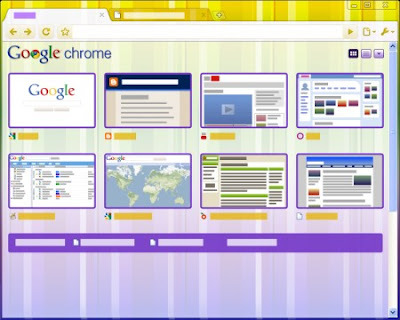 It's extremely simple to use, and a cool way to really personalize your browser.